Robert Beatty is the author of the #1 New York Times bestselling Serafina series published by Disney Hyperion, a spooky mystery-thriller about a brave and unusual girl who lives secretly in the basement of the grand Biltmore Estate. Serafina and the Black Cloak was a #1 New York Times best seller, has been on the list for more than 59 weeks, and won the prestigious 2016 Pat Conroy Southern Book Prize. The second book in the series, Serafina and the Twisted Staff, became a #1 New York Times best seller in the first week of its launch and earned a “Starred Review” from Kirkus Reviews, which said, “Even better than its predecessor, a sequel that delivers nonstop thrills from beginning to end.” Enjoyed by both young readers and adults, the books are being taught in over a thousand classrooms nationwide. When the third book, Serafina and the Splintered Heart, came out in July 2017, it earned a Starred Review from Kirkus Reviews and propelled the Serafina series onto the New York Times Best Selling Series List. Patrick Graff: You have worked variously as an entrepreneur, inventor, and chairman/CTO of Narrative Magazine. How do you think all of your previous experiences and skills have come together to make you into the writer you are today? 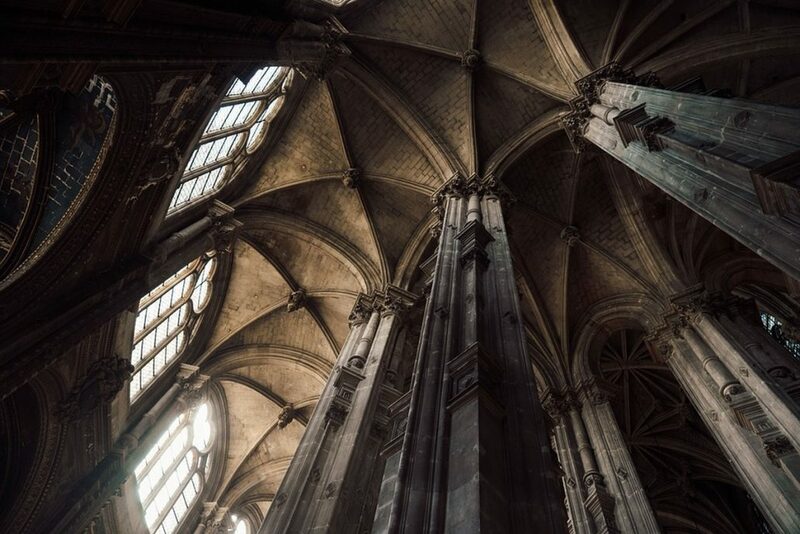 Robert Beatty: Working with Narrative Magazine provided me with valuable exposure and experience in many different areas of the publishing process. It not only helped me tremendously to improve my writing skills, it gave me a whole new perspective of what it means to be a writer. My other careers and interests have also impacted how I write, how I manage my time, the way I structure my projects, and in so many other ways. PG: Was there ever an experience that you thought at the time was a complete waste, that has come back to help you in your writing? RB: I’ve been writing and practicing and working on improving my craft for many years. Over the years, I have read and studied many books on writing, attended many workshops, and had several deeply experienced mentors who were important to me. Sometimes over the years I would attend workshops that I didn’t think were valuable (while others felt extremely valuable), but in retrospect, I think I gained something from all of them. PG: Is the Serafina series your favorite story you have ever written, or do you have another one that holds a special place in your heart? RB: I have a number of unpublished stories from my past that hold a special place in my heart. But of all the stories I’ve ever written, Serafina and the Splintered Heart (Serafina Book 3) is my favorite and the one I’m most happy with. PG: You have said that Serafina was written with and for your family, and family bonding is a theme throughout. Are you approaching your next project, the Willa books, in the same way? RB: Yes. Definitely. It’s a family project. PG: You said that your wife’s cancer was a catalyst for your writing career. You sold your business so you could spend more time on what you want, both family and writing. Do you sometimes feel that the universe has conspired to help you follow your passion? PG: Your success story in whatever you have applied yourself to is an inspiration. Do you feel like there is anything else you absolutely must do in your life? PG: The art of story-telling has been a lifelong pursuit of yours. What tips would you offer to young authors who also want to master the craft? RB: First, understand that your purpose is to tell your readers a story that engages them. It’s not about you as much as it’s about them, and how they respond to your story, how they view your story, what they get out of your story. You are of course writing for yourself, with your own heart, your own passion, your own ideas and creativity. That’s a given. But forget about that. Don’t consciously write a story for you. Consciously write a story for your reader. 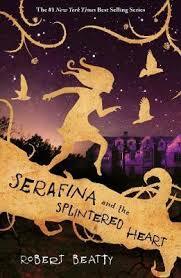 PG: Part of the magic of Serafina is that is has a wide appeal, not just to kids but to adults as well. Do you plan on writing purely for adults in the future, maybe when you’re daughters have grown up? RB: I’ve written many unpublished manuscripts in the past that were purely for adults. And I have several new stories that I’m dying to write. I may do that someday. But right now, I’ve been enjoying the types of stories that I’ve been writing with Disney Hyperion. PG: I am also a lover of the Biltmore Estate, and it was fascinating to be back there in your story. You have mentioned a Civil War battlefield has got you thinking before, do you have any other dream locations for the setting of a book? RB: Oh yes. The current book I’m working on is called Willa of the Wood. It takes place in Serafina’s world and time, but the main character is a young forest girl named Willa who lives in the Smoky Mountains during a time of great change and upheaval in that wonderful part of the Blue Ridge Mountains. PG: “Our character isn’t defined by the battles we win or lose, but by the battles we dare to fight.” This is an important theme in the book about a hero who wants to fight for what is right, even though the odds are against her. Was there a special moment or epiphany when this quote came to you? RB: When I wrote that line, I was deeply immersed in Serafina’s consciousness and world, imagining I was in her situation, moving like she does, thinking like she does, and the line just came out. As soon as I wrote it I realized that it was going to be one of the important themes of the story. The theme of a story is critically important to me. PG: What has been most surprising about getting your stories published? Is there one moment that stands out above all others? RB: For me, there is nothing more satisfying than when a reader—young or old—tells me how they felt and what they experienced when they read Serafina’s story. PG: I hope I get to see the movies soon. Any news from Disney? RB: I love movies. I love everything about them. They’ve been a huge influence on my life as a story-teller. Keep your fingers crossed.